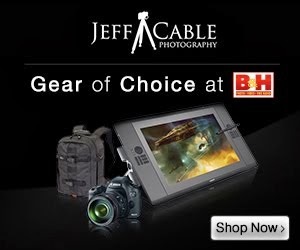 Lets face it, if you are going to spend almost $8,000 for a new camera body, it better be pretty amazing. For this investment, it should help us capture images that could not be captured with a less expensive camera. And you know what? The new Canon 1DX does that. This camera has so many focus options that I have not even tried all of them yet. But what I can tell you is that this camera is very accurate and fast when capturing fast moving objects. I have now shot Gymnastics, roller hockey, swimming and a couple of other events with this camera and I have more focal control than ever. Not only does it have a wide array of focal points, but I love the ability to determine the groupings of those focal points and also tell the camera what type of action I am shooting. After shooting more than 15,000 photos with this camera I can tell you that I had a better "take rate" than I have had with previous Canon models. For shooting fast-action sports, it really helps to shoot at 12 frames per second (fps), in order to capture that one image at the peak of action. I know that the 1DX can shoot as fast as 14 frames per second in JPEG, but since I always shoot in RAW, I have been "limited" to 12 fps. Most people would assume that, at 12 fps, you could nail every shot, but you know what, that is not the case. Even at this amazing capture rate, the photographer still needs to fire off frames at the right time. Sure, if you are shooting a swim meet for young children at your local swim club, this speed might be overkill, but if you are shooting professional athletes, it is a totally different story. Would I want a camera that shoots even faster than 12 fps? I am not sure about that. This speed lets me capture most of what I want, but it also presents a whole other challenge. Once I am done shooting an event, I have thousands of images to cull through to find the best ones. This can be a daunting task. As a matter of fact, the first day of the USA Gymnastics Olympic Trials, I fired off almost 5000 images. That was 72GB in less than 3 hours. Holy cow. I learned my lesson after that. Shoot fast, but shoot smart too! For me, this is the measuring stick for what makes a great camera. As a photographer who spends a lot of time shooting in dark environments (evening receptions, poorly lit sports complexes...), I really love having a camera that can shoot at high ISOs with minimal grain. The Canon 1DX does just that. I was blown away when I shot two roller hockey games (with the pre-release 1DX) at ISO 10,000, got home and swore I was looking at images taken at ISO 800. Try shooting an indoor sport with most other cameras at ISO 3200 and you get nasty noise in the darker areas of the photo. With this camera, I had to search for the noise. I love that! I know that most of the events at the London Olympics will be well lit (because the TV guys make it so), but I also feel better knowing that I can push the ISO if I so choose. There were many times in Vancouver, for the last Winter Olympics, when I would shoot images outside of the Olympic venues. I remember walking back to my condominium from the press center and it was almost midnight. There were huge crowds of people still out partying. I wanted to capture images of this, as it was part of the Olympic story. Not wanting to use a flash, I shot at a high ISO and had to clean the images using NIK Dfine, which works well, but takes more time. And believe me when I tell you that time is a commodity at the Olympics. 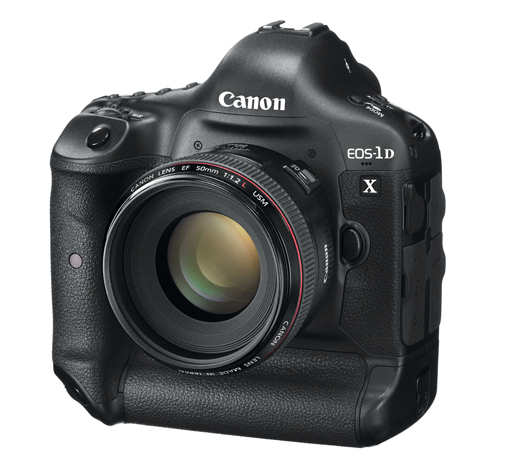 If you are a Canon shooter already, you will feel right at home with the 1DX. The camera feel great in your hands and is easy to grip. They did change some of the button layouts, and the menus are completely different, but overall, much improved! I was able to grab the camera for the first time and shoot almost immediately. Fine tuning the focus modes took a little more time, but everything else was seamless. For sports shooters, having a full frame sensor is not a "must have" since a crop factor will, at times, be an advantage. But I love having a full frame camera and shooting wide angle the way that the lens was designed to be used. Having a full frame sensor means that I can throw on a 16-35 lens and get great wide shots without having to switch camera bodies. At the Vancouver Olympics, I used the 1D Mark IV for by long shots and a 5D Mark II for wide shots. Not any more! Much like my findings on the Canon 5D Mark III, I was bummed to find out that I could not shoot to both memory card slots at the same time, at the rate that I wanted to. But this situation is a little different with the 1DX. Canon did it right in this camera by including two UDMA7 CompactFlash slots. I really prefer having two slots with the same form factor as compared to cameras which have one CF slot and one SD. And both of these CF slots are fast! The only problem is that, if you want to shoot RAW images to one card, and JPEG image to the other, the camera has to process the image twice and you get a much slower buffer clear. This is even true if you shoot large RAW files to the first card and medium or small RAW files to the other card. It seems that any time the camera has to process two different file sizes (of any combination), the camera slows down. So my plan of shooting full sizes RAW images to card 1 and medium JPEGs to card 2 is out the window. I was so looking forward to having a Lexar 128GB 1000x CF card in slot 2 and storing 150,000 JPEG shots to that card. So, it looks like I will be shooting redundant RAW files to both CF slots at the London Olympics (just in case). I never thought that I would be carrying eight 128GB cards to any event, but that is what I am going to do. There are many ways to review a new camera. We can look at all the technical specs and pick the thing apart, but the real test of the camera is how it helps to deliver the final results. I can tell you that the Canon 1DX delivers exceptional images, even when shooting in less than ideal situations. And, I think the best testament to the camera is this: After using the camera for a month, I knew that there was no other camera that I would rely on at the London Olympics. The 1DX will help give me a little more competitive advantage in a very competitive environment! How many images can fit on a 128gb card in full raw format? Great review. I want one of these babies badly! How many frames do you typically get on a battery? Thanks for your review btw. JW - I am not sure how many frames I can shoot on one battery, since I never let the battery get that low. But, I can tell you that after shooting 4500 images, I still have at least half the battery left! I was hoping the high ISO performance would be about a step better than the 5DMKIII. But in my tests, it was only about a 1/3 step better. Surprising with the smaller chip. It's still very, very good. But not as good as I hoped or expected, when compared to the 5DMKIII which was about 2/3 step better than the 5DMKII. I am a wedding photographer and this review really helps. Thank you!